Around one week ago I asked all of you a bunch of questions because I want to learn more about all of you. A lot of you said that the job you currently have is not your dream job. I'm sure that a lot of you can imagine and/or see where my posts have been going lately. Last year I made the post Do You Want To Be Self Employed and I have been thinking about it ever since. It seems like passion has been taking over the personal finance world a lot lately, with Jen, Holly and numerous other wonderful ladies and gentlemen who have decided to strike it out on their own. Guess what? Finding your dream job is possible! The other day I was reading a post on Get Rich Slowly about how one reader quit her very promising and high-paying career so that she could enjoy life instead. And then after I read that post, I read about how another GRS reader actually QUIT his passion to take a boring job. I'm not sure what I want to do anymore. My side hustle income is higher than ever, and I'm constantly looking to diversify it. Right now, I am definitely at the point where I could take a leap of faith and start pursuing other side hustles that I love, and focusing on those 100% instead of my normal 8-5 office job. I've had this Money or Passion post lined up for quite some time in my blog to-do list, and I'm glad I can finally publish it. I've been asking a lot of you for tips, and so many of you have been responding to my tweets and emails. When I decided on my major at the young age of 18, I did everything that I could to graduate quickly. I managed to graduate after 2.5 years, and that was even with taking a semester off. I was in a rush for multiple reasons: I wanted something to occupy my time so that I could stop thinking about how sick my dad had become, and also because I “thought” that graduating with two business-related degrees would do me good. I thought life was all about money at that time, and not about what actually makes you happy. I thought pursuing your passion as your job was only for “lucky” people or people who had a specific talent. I was going for the more “realistic and responsible” direction by going for business degrees. 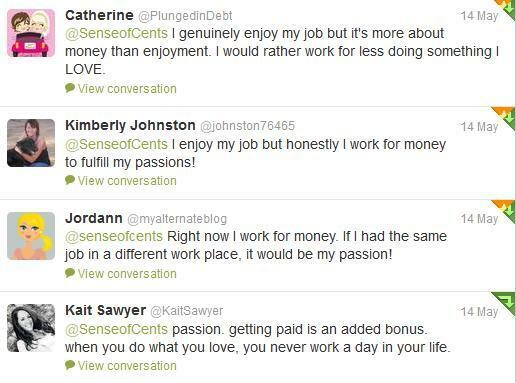 For some, your passion might bring in the money for you, and that is awesome! I have multiple passions, and when all combined into my side hustles and a potential volunteer position that I want to start – this all creates my passion. Luckily, my side hustles bring in a decent amount of money. Also, luckily our bills are not very high. Altogether our bills and everything are less than $3,200 per month (bills, mortgage, food, and so on) and we could manage this along with still saving without getting too worried. We would want to live on less income and save more to prepare for the unexpected though. Why I want to go for passion and enjoy life instead. I've been thinking about life, the meaning of life, and where I want to go in life a lot lately. I can't help it. With everything that has happened – mainly my father passing away and finding out that my grandfather passed away shortly thereafter, it's hard not to think about how boring and routine everything has gotten. I don't want to wake up every morning and wonder where the day before went, and I don't want to be begging for time to pass by just because I feel like I'm slaving away. I want to continue with my side hustles (which would that become a part of my main hustle) and start a position at a non-profit that I love. I want the days to be enjoyed. I don't want to wake up in the morning and complain like the world's ending (which I'm sure W is tired of by now). I'm still young. Today I am 24 (WOOHOO it is my birthday!). I have yet to take a break and pursue something that I love. Am I too old, too young, too naive to do this? I guess I'll never know until I try. I've always tried to be the responsible one. There have always been people who have relied on me, but now that they're starting to do better as well, I have had the increased need to venture out and try something new. So, what's the negative/risk of pursuing my passion and finding my dream job? The instability of it all! The fear of the unknown. I am a big worrier, and I always feel like the worst happens when you least expect it. I'm afraid that I'll throw all my eggs in one basket and then it'll explode. I'm afraid that I might be ruining my future. What if something happens and I regret my decision? Now, I could continue to do everything – work my job and all of my side hustles, but at what cost? I want to start to enjoy life more. Life isn't all about money. Yes, I could do everything and make more money, but I don't care about that anymore. 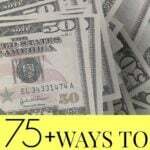 At what point is the amount of money that you have enough for you? Your career is just one part of your life. You might not become a much happier person just because you do the work that satisfies you the most. You have to consider the effects it could have on you as a person besides just having to do the work. You should do the work that gives you balance, and not the work you love the most. Should I be looking at work just as a way to make money, and keep my passions completely separate? Am I naive for thinking that I can combine both money and passion? I've been doing a lot of thinking lately, and below are some tips to help you figure it out. Determine why you no longer enjoy your job and why you are thinking about finding your dream job. Have you always not enjoyed your job? What has changed? If you at one point enjoyed your job, then you need to really think about what you could do to change your job back to your passion. Test the waters when deciding on your dream job. I do understand that in some circumstances, you may need to leave your job IMMEDIATELY. However, if you can control your departure timing, see what you can dive into once you start your passion. You never know, your passion might not be exactly how you thought it was going to be. Be realistic when finding your dream job. I always include being realistic in my posts. It's the most important step when deciding anything! Living in some make-believe fantasy world won't solve anything. You want to set realistic expectations for what might or might not happen. Your passion might turn out not to be what you thought. You might find out AFTER you have already quit that you actually enjoyed your job a lot, and you might miss it. What about you? Money or passion? Maybe BOTH? What tips do you have for those looking to work for passion? Do you think finding your dream job is possible? 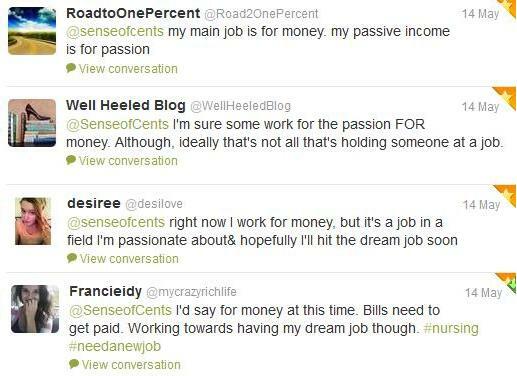 As much as I would love to work for passion, my main thing is for money. It’s more important than anything (especially in this economy). Money does a lot more things than passion can never do: pays your bills, feeds you, clothes you, puts a roof over your head,gets you more respect in society, etc. People who say they work for passion MIGHT say they love what they’re doing, but really they don’t (& they know it) because it’s not making them any money. Money makes the world go round and that’s the ONLY thing that matters (& should matter). For most of my life, I was certain that teaching English would be my life’s work. Then I taught for a while, and realized, like you noted, it was not exactly what I thought it would be. I think I just confused my experiences in the classroom as a student as being similar to what my experiences would be as a teacher. They just turned out to be very different, and when I realized that, I moved on. No big deal — it was better that I earned my credential and gave it a shot, instead of not doing it and wondering what might have been. Anyway, you close with some excellent advice: pursue passions, but be realistic. For as long as I can remember I always saw myself in a courtroom defending an innocent victim. Yes, I have always wanted to be a lawyer. I recently graduated college and I can’t afford law school for now. I just got a job as a paralegal and this job is great because I can learn more about my future career. One week after being there my boss was very impressed with my work skills and increased my pay $6 more an hour. However, I grew up with limited amount of money because of many circumstances. Now, I am facing a big dilemma. I have the opportunity of starting my own business, which is not related to law at all and make 10 times more than a paralegal or lawyer. The problem is do I follow my passion or financial stability? Starting my own business would mean more responsibilities, but peace of mind at the same time (Financially). Happy belated Michelle! You’ve already figured out a way to make your passion work for you (all before the age of 24) and that’s excellent. Unfortunately, I don’t think everyone can make that happen and there are legitimate advantages to letting go and starting a “boring job”. 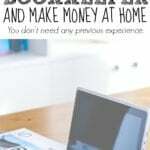 I worked a good paying job from home but I HATED it. So I would procrastinate getting my hours in and then have to rush to get it done. If I love what I’m doing, I will do it first thing but if I hate it, you can bet I will take my sweet time. The job started interfering with family time and it just wasn’t worth it. Once I quit, it was a huge sigh of relief. Now I realize that we can’t always quit a job because we hate it but I have found that when you hate it, it is time to look for something else. I’m just looking through some of your old posts and man, I’m glad you took the leap of faith. I’m sure you are too. I think this idea is incredibly important: “You should do the work that gives you balance.” But it means different things for different people. I used to run a successful small business that I started at age 25, but it didn’t make me happy even though it was lucrative. Instead I closed up shop and took a pay cut to take a desk job (which I really enjoy), and this shocked so many people. But with my desk job, when I go home at night, I leave my work at work. I have balance. I’m free to pursue the extra things I always wanted to when I owned a business, but never had time for – like learning to cook, write a blog, learn graphic design. I had “the American Dream” as a small business owner, but it just wasn’t for me because I couldn’t find that balance. Now I’m so happy to get up in the morning, even though I have a job that is considered by many to be boring or “not successful” in comparison. 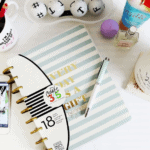 Choosing money, passion, or balance in a career depends on so many factors. It’s so rare to find someone (especially your age) to think about what you truly want to do in life…to do what you’re passionate about. So many of my friends just go through their 8-5 jobs and don’t seem to be so satisfied with their life. I know this was more than 1 1/2 years, but how has your work life since then?